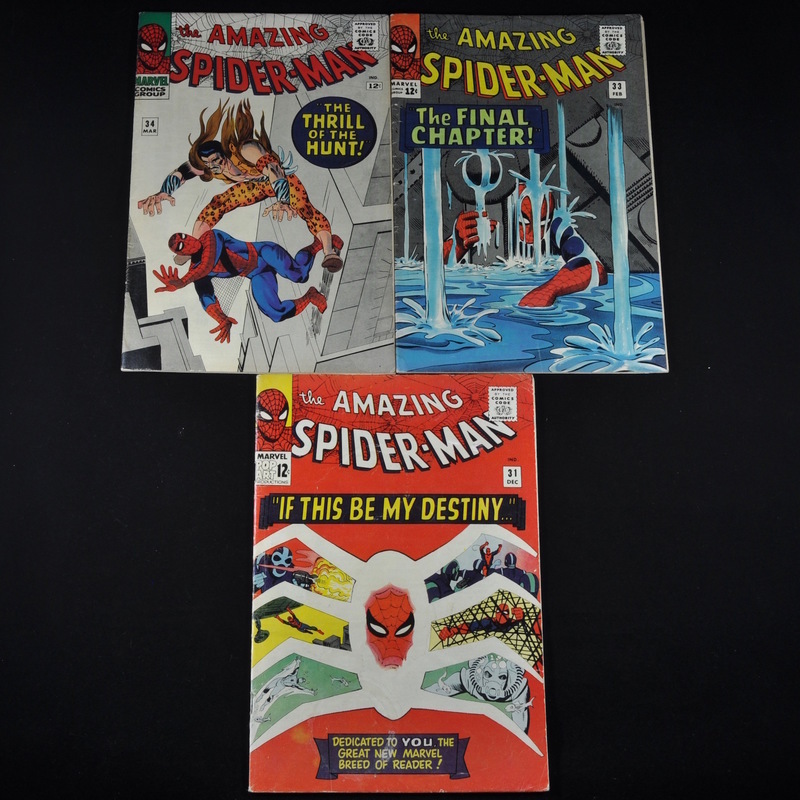 Collection of Amazing Spiderman comic books (Marvel, 1963-1998) comprised of three comics dating from 1965 to 1966 including #31 ("If this be my destiny...! "), #33 ("The Final Chapter! "), and #34 ("The Thrill of the Hunt!"). Dimensions: each book is approximately 10 1/4"h x 6 3/4"w. Processing and shipping within the continental U.S. $25.00 plus 1.5% replacement cost insurance.